Teen leaders...attend the 3rd annual Mecklenburg Youth Leadership Summit! The event will be March 8, 5:30-8:30PM at the Charlotte-Mecklenburg Government Center, room 267. All high school student leaders - both serving in official leadership roles on student council/clubs and emerging leaders who want to make a difference at school and in the community - are asked to participate. The event is free but pre-registration is required. 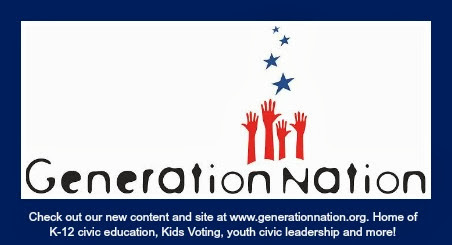 To register, contact info@kidsvoting.org or 704-343-6999 with your name, school and email address. You can register anytime. You are not too late. At the summit, teens will meet and collaborate with leaders from other schools and youth programs across the community. The event will also allow students to discuss and give feedback about important community issues - including government funding for schools, parks, libraries, safety and more - as part of the communitywide event Get Real 2011. This is your chance to make your student voice heard on budget decisions that will impact you and things you care about! 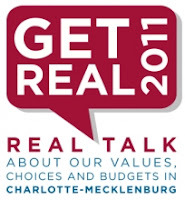 Additionally, students from Kids Voting Mecklenburg program Youth Leadership Council/Youth Voice will lead a discussion about ways to regularly connect students and schools with government and community leaders. Dinner and service hours are available. The program is sponsored by Kids Voting Mecklenburg, and funded in part through a grant from Crossroads Charlotte's Front Porch program and the Charlotte-Mecklenburg Community Foundation.